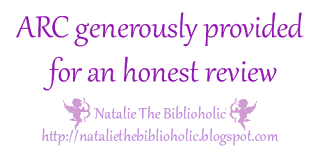 ARC Review: Illusions of Evil by Lily White | The Biblioholic ~ Read more. Sleep less. I swear, this book needs to come with HUGE warning labels. And I mean HUGE!! At one time, Eve was known as Sedra, a relatively ‘normal’ child with loving parents and a protective older brother. When she was 10 years old, her parents moved them to a community that was supposed to better for them - a nurturing environment. And that’s where Sedra’s life spiraled and she soon became Eve, the obsession of the cult leader, Elijah. Elijah was handsome and charismatic, convincing his followers that he was full of purity, that Eve was key to their salvation, and that together, the commune needed to help him either turn people to their cause or eliminate them. Jacob was Elijah’s identical twin brother, who also happened to be a priest, and his parish was in the neighboring town. These two brothers couldn’t be more alike and yet they were so different. This story tells of the darkness that lives inside each of these characters and it’s not only dark and depraved, it’s also twisted, eerie and wicked.